Aims: To evaluate extraction as a parameter in determination of Bolton ratio in class II division 1 cases. 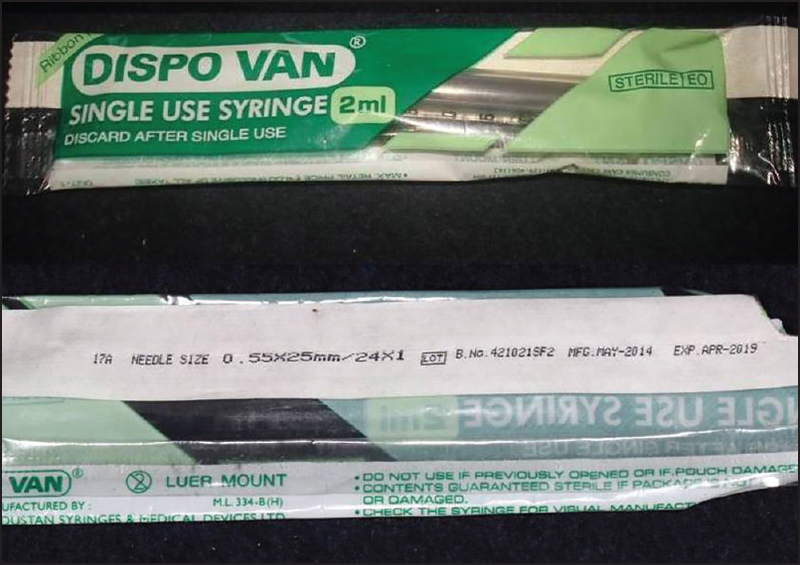 Materials and Methods: Thirty Class II division 1 cases were selected from the records. Bolton overall ratio was calculated. Hypothetically extraction of four different combinations of premolars was done. These combinations were: Upper first premolar, all first premolars, upper first premolars and lower second premolar, all second premolar. 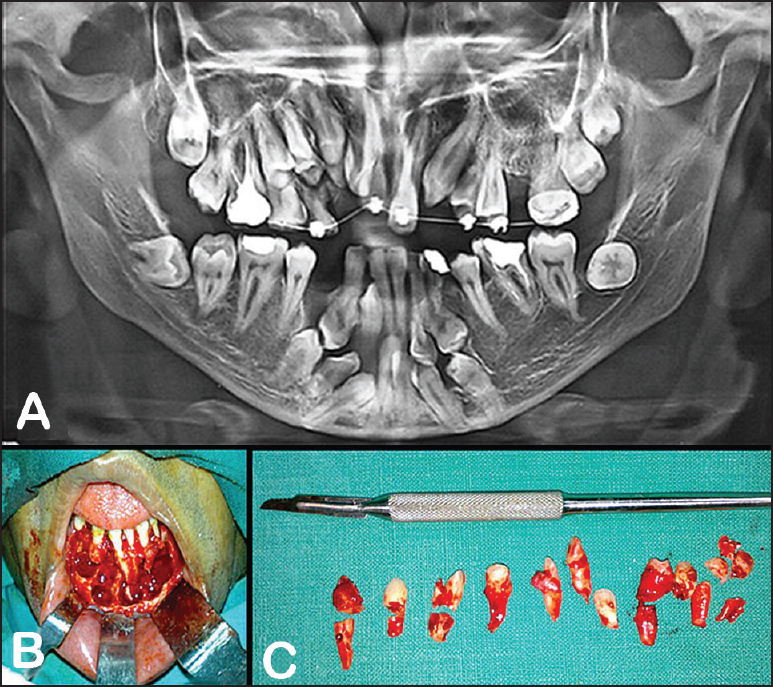 The hypothetical extraction was done by substituting zero in place of the corresponding premolars that were removed. The overall ratios were measured again. Results and Conclusion: (1) Extraction can be considered as a parameter in evaluating Bolton ratio. (2) In upper first premolar extraction Bolton ratio increased. (3) When all first premolar, upper first and lower second premolar, all second premolar were extracted the ratio decreased. (4) In all four first premolar, all second premolar, upper four and lower five premolar extraction can be carried out without much affecting Bolton ratio in class II division 1 cases. 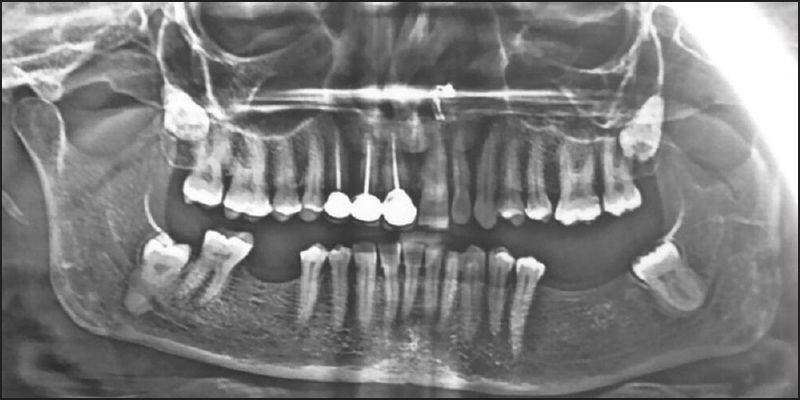 Aims and Objectives: To successfully evaluate the difficulty of third molar extraction prior to the surgical procedure, clinical and radiographic findings must be taken into account. The purpose of this research oriented study was to evaluate the importance of variables (patient variables, dental and operative variables) such as radio graphically assessed dental factors i.e., tooth morphology, position of the tooth, proximity to the inferior alveolar canal which are of clinical significance posing difficulty in removal of the impacted third molars. 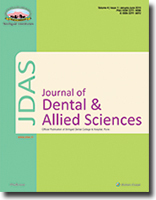 Materials and Methods: This prospective study was conducted in 3 years period (January 2012-December 2014) on 200 patients (140 males, 60 females) who had undergone third molar surgery under local anesthesia at Oral and Maxillofacial Surgery Department, Tatyasaheb Kore Dental College and Research Centre, Kolhapur, Maharashtra, India. Certain variables such as preoperative radiographic assessment, surgeon's perspective were assessed accordingly. A variety of data was gathered for each patient including age, gender of the patient, bone impaction, unfavorable root formation, operation time, etc. surgical difficulty was evaluated preoperatively using a parant scale. At the end of each surgery, the clinician recorded the technique used and the duration of each operation. Results and Observations: A total of 200 impacted third molars were removed surgically (140 males, 60 females) over a 3 years period and it was observed that increased age, gender predisposition, unfavorable root pattern, depth of impaction, close relationship to inferior alveolar nerve increased the operative time which was statistically significant. The mean operative time was 37 ± 5 minutes. Conclusion: This study demonstrates that preoperative radiological assessment should be taken into account while planning difficult third molar surgery. Although variables such as patient parameters, dental and surgeon's parameters should be evaluated accordingly. Aims and Objectives: The aim of this study was to determine the occupational musculo-skeletal problems in dentists and to investigate the related risk factors. 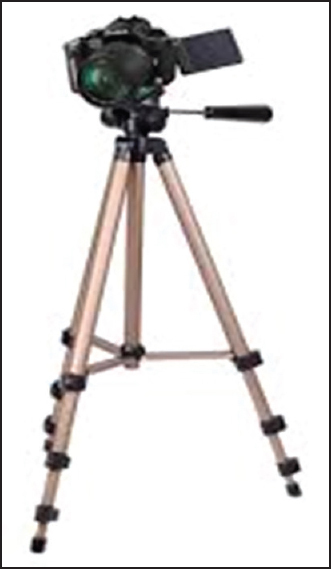 Biomechanical risk exposures measures are available as is various activity limitations. Activity limitation is specific for various cumulative trauma syndromes found in dental occupation. Hence, this study aims at correlating these two parameters. Study population involves private and institutionalized dentists. So study aims to do a comparison in between the groups also. Materials and Methods: 250 dentists working in Navi Mumbai and Mumbai were included in the study. Their mean ages were 30.15 ΁ 5.70 years. The musculo-skeletal system problems, activity, limitations, pain levels, working posture are some of the factors investigated. Results: The biomechanical exposure analyzed (rapid upper limb assessment, occupational repetitive action) showed strong association with various cumulative trauma disorders assessed by (neck disability index, disabilities of arm, shoulder, hand, and carpal tunnel syndrome questionnaire). Conclusion: Musculo-skeletal problems existed due to the occupational working conditions and these problems caused activity limitation with varying degrees. Occupational risk factors in dentists make dentists conscious about this issue and also preventive rehabilitation programs have to be planned. Endodontic success depends on the triad of biomechanical preparation, pulp space sterilization, and three-dimensional obturation. Complete disinfection of the pulp space cannot be achieved with instrumentation techniques alone. The use of adjunctive aids like endodontic irrigants in achieving this goal is essential. The purpose of this review article is to provide an overview of the different root canal irrigants and their clinical application. A search for English-language papers published in national and international journals using Medline and PubMed indexing was done until April 2014 for sourcing this article. Sleeping is an important physiological role in our day to day life. A good laugh and a long sleep are the best cures in the doctor's book. Sleep disorders of the upper airway result from any condition or disease that causes its partial or complete obstruction when a patient assumes a supine position and goes to sleep. Sleep disorders, particularly untreated obstructive sleep apnoea (OSA) can be associated with motor vehicle accidents, poor work performance in the office or workplace, and also makes a person prone to occupational accidents and reduced quality of life. Comprehensive management of upper airway sleep disorders requires an interdisciplinary approach. A prosthodontist can play a significant role as the team member in the interdisciplinary approach for the management of upper airway sleep disorders. The present article focuses on the history, clinical examination, investigations, and management of OSA. The basal cell nevus syndrome is an autosomal dominant inherited condition characterized mainly by basal cell carcinomas, multiple keratinizing odontogenic tumors, and other systemic anomalies. As these manifestations do not alter the patient's lifestyle, most of the cases are diagnosed through oral abnormalities. A classic case of basal cell nevus syndrome fulfilling almost all the major and minor criteria has been reported here. 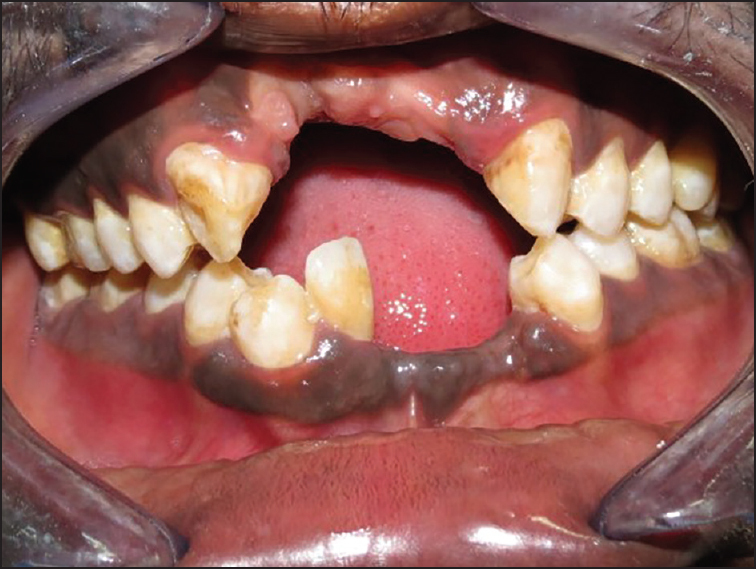 Multiple impacted permanent and supernumerary teeth have been associated with the syndromes and metabolic disorders. Approximately, 75% of all the supernumerary teeth are impacted and are asymptomatic. Consequently, most such teeth constitute casual findings in the context of routine X-ray studies. Lack of eruptive force and rotation of tooth buds may cause multiple impactions, and additional examinations may be necessary to exclude systemic and metabolic conditions. We present a rare nonsyndromic case with 11 multiple impacted teeth in the anterior mandible, with systematic literature review and multidisciplinary management. Fractured anterior teeth due to traumatic injuries are a common occurrence in dental practice. The role of operative dentistry in such cases is to restore proper tooth form, function, and esthetics. Achieving this by bonding sterile dental fragments to teeth with large coronal destruction is expressed as "biological restoration." 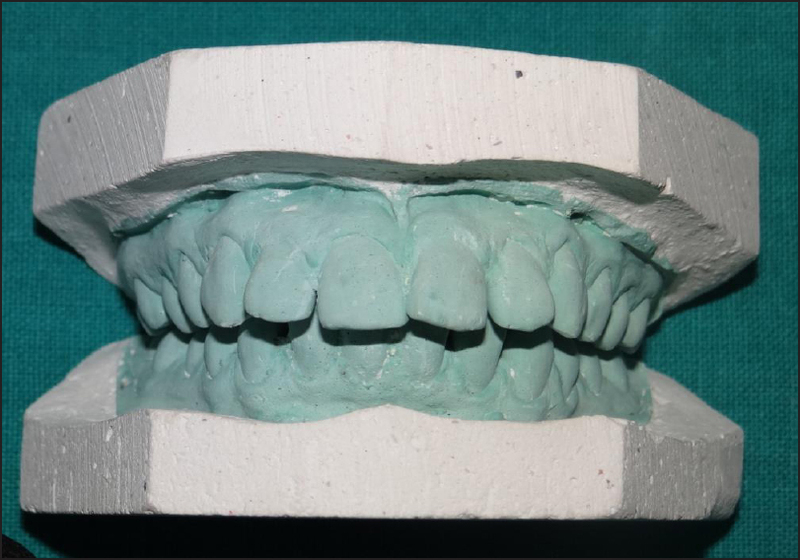 This approach provides excellent esthetics as compared to composites or cast restorations, especially in terms of translucency and is also a cost-effective alternative to the same. This paper reports the case of a 22-year-old male in whom biological restoration was considered as a biofunctional and esthetic replacement of the fractured central incisor (Ellis Class III tooth fracture) with more than 40% loss of tooth material. Following clinical and radiographic evaluation, endodontic treatment of the fractured tooth was carried out. Post space was prepared to receive the biological restoration. Extracted teeth were then used to fabricate a biological post and biological crown; which was then sterilized in accordance with biosecurity standards and later cemented. 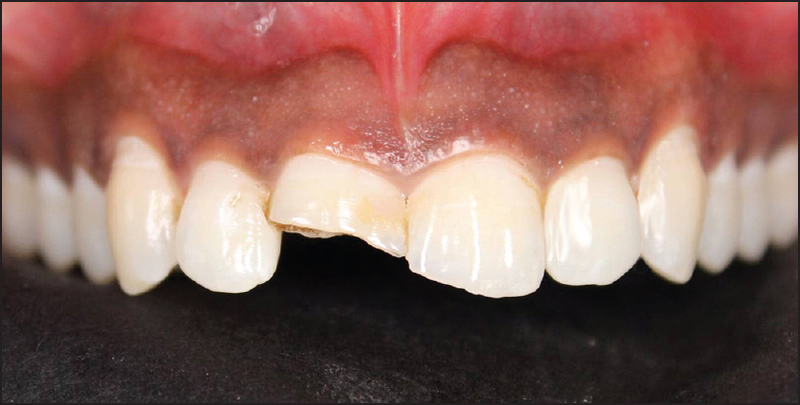 According to the available literature and clinical evidence, biological restorations can be considered as an efficient option for management of fractured anterior teeth.